Three more regions are to get on-the-spot syphilis tests in the ongoing fight against the potentially deadly outbreak in northern Australia. 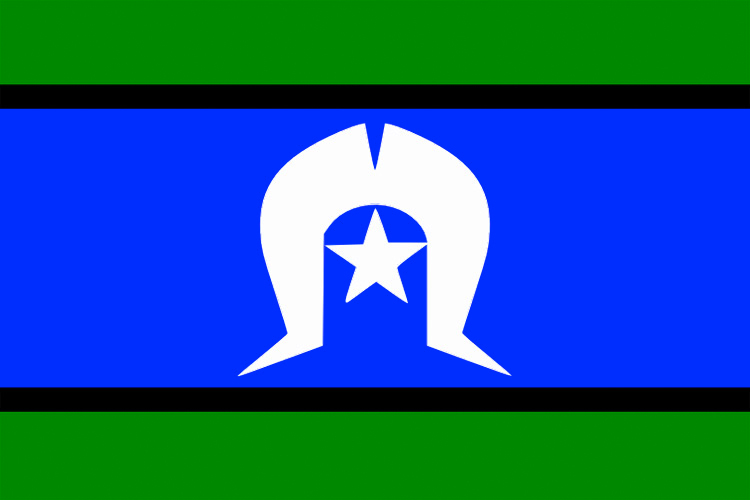 The quick tests are now available in East Arnhem Land and Katherine in the Northern Territory and the Kimberley in Western Australia. They became available in northern Queensland and Darwin in August. 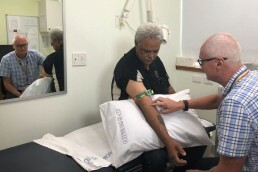 Indigenous Health Minister Ken Wyatt said feedback from Queensland and Darwin was that the tests were having a positive impact. The Federal Government is spending $8.8 million to curb the outbreak of syphilis in Aboriginal and Torres Strait Islander communities. The on-the-spot tests allow instant diagnosis and if needed, immediate treatment. Australia has recorded its lowest level of HIV diagnoses in seven years, according to a new report from the Kirby Institute at UNSW Sydney. The report, released today at the Australasian HIV & AIDS Conference in Sydney, found that there were 963 new HIV diagnoses in 2017, the lowest number since 2010. Researchers are attributing the promising results to more people getting tested for HIV, more people living with HIV starting treatment which reduces the risk of HIV transmission to effectively zero, and an increased use of preexposure prophylaxis (or PrEP, an HIV prevention pill). 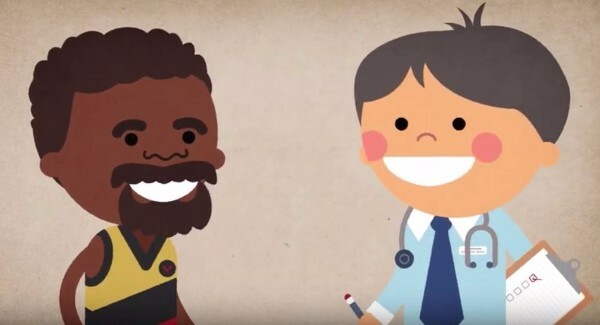 This is to let you know that Phase 2 of SAHMRI’s Young Deadly Syphilis Free campaign was launched on 9 September, with new resources building on the messaging developed for Phase 1 of the campaign, which ran until March this year. The syphilis outbreak continues in Northern and Central Australia, with over 2175 cases of infectious syphilis reported among Aboriginal & Torres Strait Islander people living in remote and urban areas of QLD, WA, SA and the NT. The Pilbara region in WA is the newest area with new notifications. 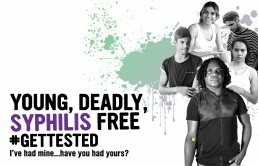 Most cases of syphilis were found in people aged 15-29 years. Since the outbreak was declared in 2011 there have been 6 infant deaths due to congenital syphilis (3 confirmed and 3 probable). New resources for clinicians practising in remote communities will also be developed, promoting appropriate testing to those most at risk, including antenatal testing of women during pregnancy. New TV commercials will run alongside our initial TV commercials aired during last year and until March this year. 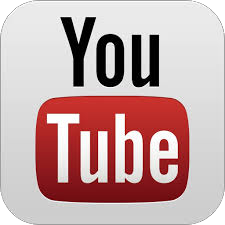 To view the two new TV commercials just click the images below. Please don’t share these until after 9 September. The second one is a shortened version of our original syphilis animation cut to fit TV advertising time and standards. Over the next few months we will add to the scheduling of TV ads with new content as they are finalised in production. Our campaign begins next week and will run for a year so please use these resources in your work or refer to these when talking to community. Social media will feature health messages by our mob, for our mob. 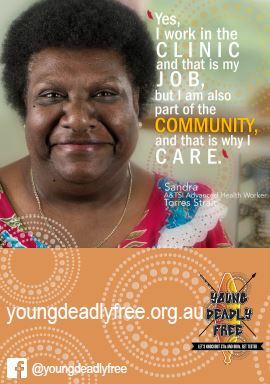 Once again the campaign will be strongly supported by social media, with regular Facebook posts, Divas Chat advertising and promotion on our website youngdeadlyfree.org.au featuring all new video clips and infographics. The campaign promotes whole communities’ involvement in tackling syphilis as a public health issue along with other STIs, and has involved young people, clinicians and people of influence such as parents and extended family members/carers. Healthy messages by our mob, for our mob. Take a sneak peek below at the new Young Deadly Free posters, we are just giving you a preview but we have many more to choose from. They are available to download from our website for printing. The project team would like to thank all the talent who have provided input to the new resources during our visits in community. 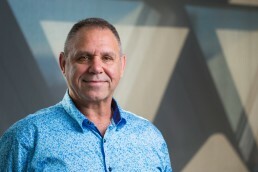 As an infectious syphilis epidemic continues to ravage northern Australia – now threatening the lives of newborn babies – Indigenous sexual health specialist James Ward is leading a campaign to help remote communities. While the federal government committed $8.8 million this year to fight an ongoing syphilis epidemic sweeping Australia’s top end, many prominent sexual health physicians and academics claim the money is too little too late. “Every day there are more cases, so we are not seeing a downward trend yet,” says Dr Manoji Gunathilake, who heads up a government-run health service known as Clinic 34. Gunathilake is the Northern Territory’s only specialist sexual health physician. She says local health workers are ramping up testing as part of a fight to contain the infection, which particularly affects young sexually active Aboriginal and Torres Strait Islanders in the territory. However, it seems those measures are struggling to contain the STI’s spread. We really wanted to extend our reach to community, we understand some of you may have already received this newsletter and we apologise for cross posting but please take this opportunity to share our newsletter with colleagues, friends and organisations in your area. The team here at SAHMRI have compiled all of our syphilis health promotion and educational resources for you and included them here for you to use. 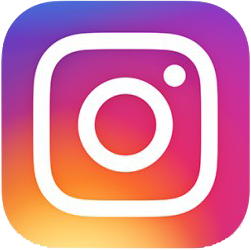 Within the link below you will find a syphilis and an STI educational animation, a series of syphilis info-graphics, 2 television commercials, radio advertisements, 2 posters, short and long fact sheets, and four clinician videos. Click here: http://jmp.sh/b/Zf7jmoBPYvy7Sk8Dyjkr to download our resources. If you are in an area where the internet may be lagging or connection is too slow to download, let us know. We would be happy to upload these resources onto a USB stick and send them on to you. 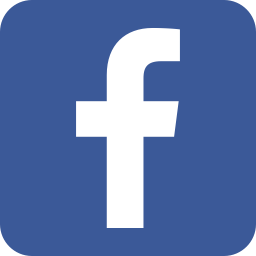 Also don't forget to follow our Young Deadly Free Facebook Page and check out our Young Deadly Free website Young Deadly Free where you can find many more useful resources on STIs and BBVs relevant for Aboriginal and or Torres Strait Islander Communities. View previous E-newsletters or sign up to the mailing list. Some sexually transmitted diseases are on the rise in Western Australia, with Aboriginal communities in the north hit particularly hard by a syphilis outbreak. Across the population, Syphilis has more than doubled the five-year average, up 112 per cent. More than 95 per cent of cases reported in Perth were in men. 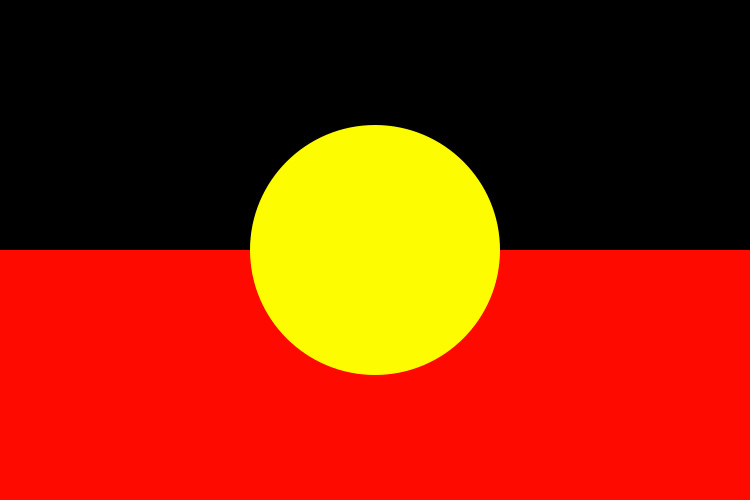 However the rate increased by 38 per cent among Aboriginal people, associated with an ongoing outbreak in the Kimberley region, and decreased by 13 per cent among non-Aboriginal people. Australian Medical Association president Omar Khorshid said Aboriginal people in the north had been failed.